Here’s another Frankenstein poster by the great Sandro Simeoni. 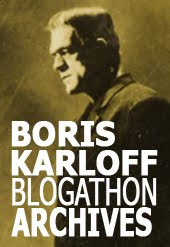 We’ve previously looked at his work for I Was a Teenage Frankenstein (1957) and The Revenge of Frankenstein (1958) — see the related links at the end of this post for images and a bio of the artist. 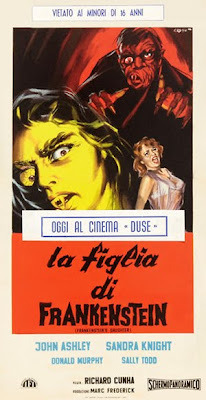 The square image in this vertical, insert-style poster for the Italian release of the sleazepit classic Frankenstein’s Daughter (1958) features the title monster at top, its crooked mouth expression replicating the face shown on American posters. 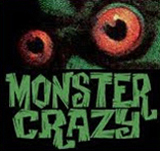 In solid yellow at left is the Monster Girl seen in the film’s opening sequence. 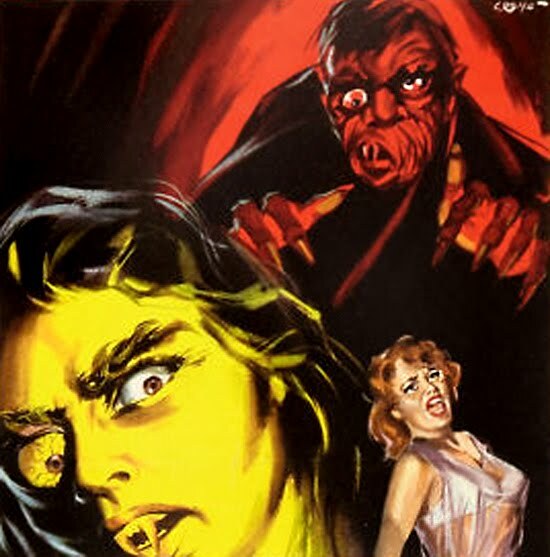 The illustration is pretty simple and straightforward, yet it still show’s Simeoni’s trademark 3D effect, with a prominent character at the forefront and The Monster reaching out at the viewer with bared claws. And again, the freehand “Frankenstein” name is almost identical in design to the one used on Simeoni’s two other Frankenstein posters. A list of 152 Sandro Simeoni movie posters. Click the highlighted numbers to see the images.